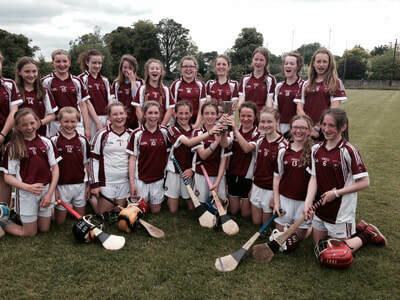 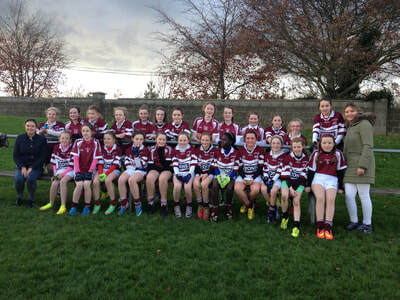 This year our girls won the Roinn A camogie final with a scintillating performance against Glenmore. 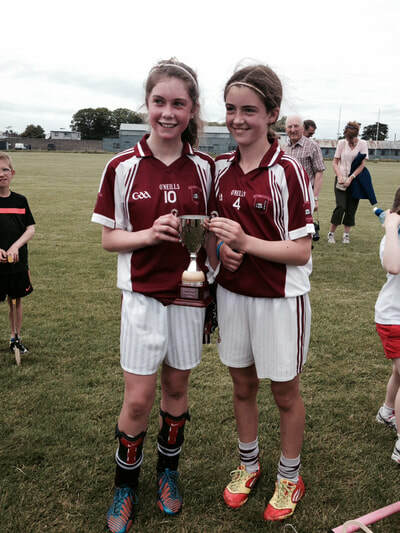 Rachel and Isabelle are pictured receiving the cup. 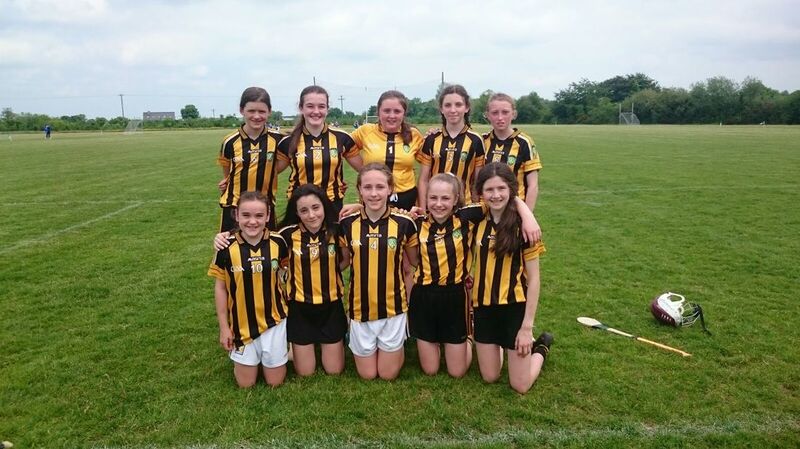 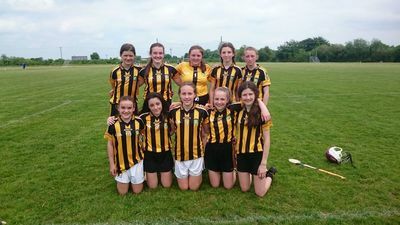 Four of our team, Isabelle, Rachel, Orla Nd Aoibhinn went on to represent Kilkenny in the intercounty blitz in Portlaoise. 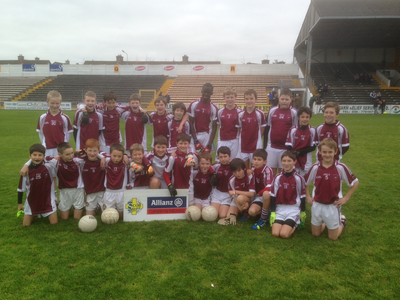 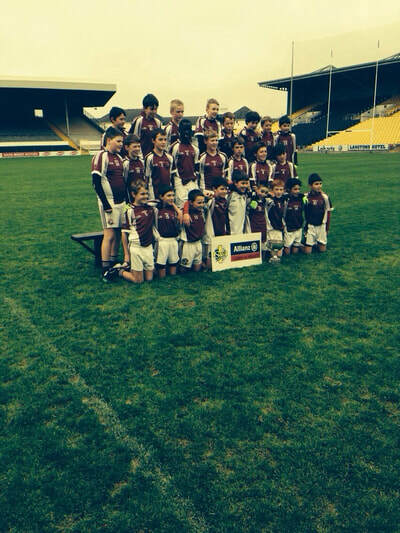 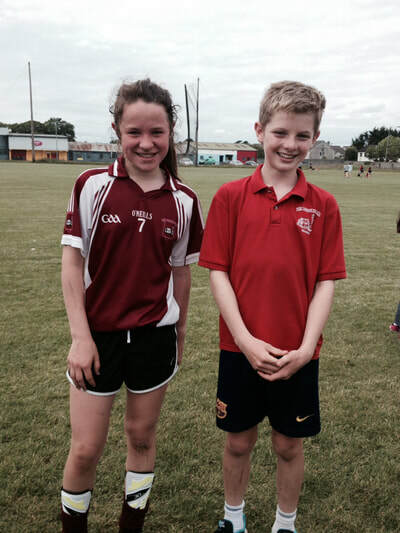 This team was managed by our school 's Roinn A management team Ms Murphy and Ms Hanrick. 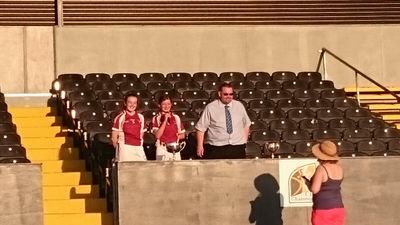 Congrats to all the camogie players in the school who played on our three teams this year and to the large number of staff who coach them at lunchtime every day. 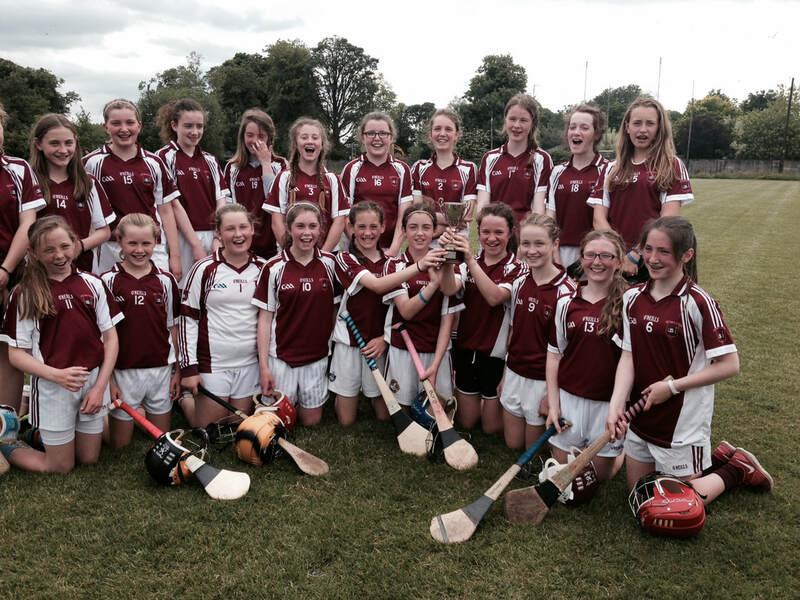 Some old pictures of camogie and hurling teams past.